I often hear the question: How do you do it? Writing your own songs? And even more often I hear: Ach, I’m not talented enough for that. Nonsense! 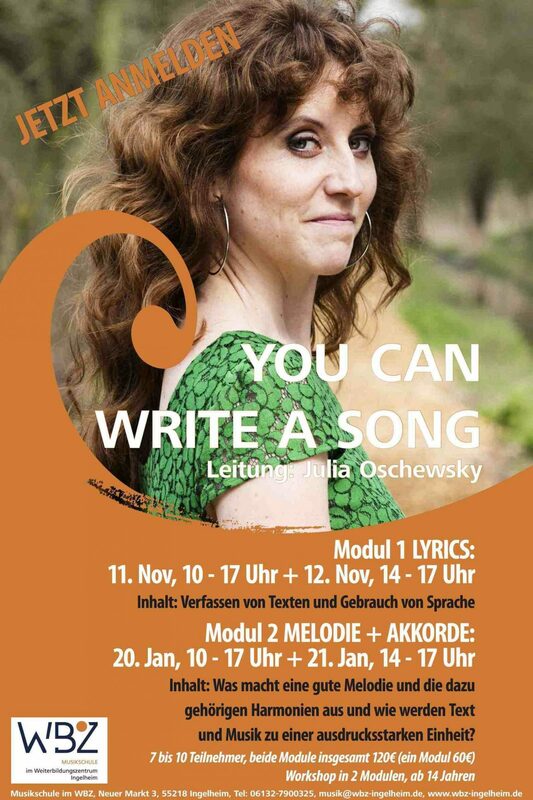 On November 11th I’ll kick off my songwriting workshop at the WBZ Ingelheim in 2 modules (lyrics & melody/chords). Together, we’ll discover that writing muscles can be trained as well. I’m looking forward to meeting new curious writers.